Sorry I haven’t been posting much. I’m in the middle of moving! I caught myself singing to the radio the other day. That hasn’t happened in a long time. I used to sing every day, almost all day. First year at Berklee, when I should have been practicing yet another percussion instrument, I was taking voice lessons and hoping to switch to the vocal department, which I did, second semester. So I’m sitting here, as I write this, listening to the electronic tag on Last.fm, and I can’t help but think that some of this stuff sounds like some of the stuff I made for arranging that year. (with massive help from Matt Cahoon) 🙂 I had no idea how dependent I’d be on Studio Vision — that learning Garageband would take a bit of effort, and now I’m learning Cakewalk 6. I finally feel like I’m *present* and am in the moment as well. I am not only creating art, but I’m doing it for no reason but because it makes me happy — and the second it doesn’t — then I can walk away from it and come back later. It sits heavily with me that *gulp* I am responsible for making my album. And it doesn’t get done by hearing the songs in my head, humming on the couch. And fortunately for me, the larger goal has lots of mini-goals. Songs. And songs have parts. Even better, with the move coming up, I’m about to be able to play piano almost all the time without worrying about waking anybody up. The best thing about my grandma and grandpa’s old piano is that there’s joy and no judgment on that keyboard. It’s where I come up with my best stuff. And, if I don’t come through on this, I know have no one to blame but myself. And it would be pretty sad, because I know I could make some pretty cool stuff if I would just stop being lazy and/or a scardy cat. I’m issuing myself a challenge. It’s the thing I’m most afraid of, to tell you the truth. So, I’m going to do it, and that’s all there is to it! I wish I were afraid of something easy, like bungee jumping. That’s at least quick. Nope. I’ve got to be scared shitless of whether or not people will actually like my music. So, I have to release an album, knowing that there absolutely, unquestionably, will be haters to go with the admirers. Besides, I’m out of excuses that I’m willing to accept. Marketability means nothing to me regarding this. I want a piece of me that I can leave behind for the generations and for the world. If I can get better to the point that I have increased energy and no longer have seizures every day by changing my eating habits, like I have, I sure as hellfire can learn how to use a computer program that will allow me to make music at home while my man is at work, and learn to record my guitar and my voice, and create an album that I can be proud of. I like to tease that I’m not really on SSDI, but that I’m a government subsidized musician, artist, and blogger. Truth be told, I’ve been lucky that my MS has been playing nice recently. I want to say it’s because I’ve been so rigid about staying paleo, but I really feel it every time I cheat (which I really did this past weekend with… oh, every meal…). I want so badly to run away from this challenge that I’ve almost erased this entry 3 times. But I’m not wussing out. I’m gonna put a hard time limit on the first song. I’ll have that one done and ready to hear by August 15. I’m giving myself extra time because of the move. How are things? Life on this side of the screen is going pretty well. I’ve been focusing a lot, recently, on building a happier Rae. Fortunately, I have built tools to deal with depression!!! Back to basics, I go! The only thing not on the self-care awesomeness chart is “Take meds on time.” And taking meds on time is so super important that I will be adding it to my chart before I print it out for myself this go-round. Fortunately, I am not currently depressed as I am writing this. I’ve already done the heavy lifting of beginning to exercise again, and of beginning to brush my teeth twice a day again. The lack of brushing my teeth twice a day is, for me, the clearest sign of not giving a damn. You only get one set of teeth. You’ve got to take care of them. If you don’t shower, you just stink. Stop brushing your teeth, and you bring upon yourself the pain of tooth rot. That both stinks AND hurts AND it affects your overall health. Not a good thing. Not a good thing at all. But now I’m brushing and even flossing. And what’s the big change? The firm belief that within the next month, my husband and I will not be living in Romeoville, and I will be able to meet new people and live like a normal adult, not cooped up in the house all the time like a child. The quality of my life is going to change massively. That is a reason to be happy… and more than just a reason to be happy, it’s a reason to begin living like a happy person. The truth of the matter is that after a while I lost hope that I ever would escape a life of daytime solitude. I’ve spent 10, almost 11 months cooped up in the house while Adam is at work! It has been so reminiscent of the days when my parents left me in charge of my brother when I was young and couldn’t drive that it’s safe to say there’s been a bit of regression going on with me. It’s felt like a punishment from God, when it’s not – it’s simply a difficult situation. But now I have hope that we’re getting an apartment in a walkable area of the Windy City starting in July. We put in an application on Saturday, so we’re just waiting to hear back now. It’s almost too good to imagine, and I actually worry that posting this is a jinx, which is ridiculous. Everything happens the way it’s supposed to. Anyway — I hope that sharing my happy thought with you has brought you a smile, and also that my self-care chart helps you out too, if you’re having a tough time. Long story short: Doing things that make you happy will help you be a happier person. How do I know that this is true? Because of this: I am alive! that people avoid talking about. The nation is full of poverty. Many people benefit by this design. The nation nourishes this cloudy thinking. nourishing the market and causing it to rise. Laws further nourish this manifest. The thriving marketplace gives birth to many robbers and thieves. Making these delicious, juicy shrimp was a snap! Marinate the shrimp for 15-20 minutes in Buffalo sauce, making sure to coat shrimp entirely. Grill the shrimp over a hot fire until they are fully cooked. 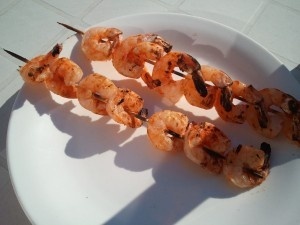 Remove from heat and allow the shrimp to cool before you remove from skewer. (Acts of De) go without saying. (Acts of De) occur unknowingly. The unenlightened are quick to close their mouths and minds. One’s past cannot be permissive and dear like family. It must not be proud or neglectful. It must not be contented or overtly advantageous. It must not be proper or cause harm. It must not be ambitious or noble. It must not be suitable or lowly. One’s past serves as everything that makes one precious. Yay for snacks! Adam and I went by Costco earlier this week and were looking for some snacks that we could eat during the week that were paleo compliant. The crisps are freeze-dried fruit, and they’re really yummy. The fruit leathers are 100% fruit too, and are so sweet you could swear they were sugar sweetened, but they’re not! I was so excited that we found stuff to buy. Fresh fruit goes bad so quickly, and these can sit in our pantry for a little while (assuming that they last). I’m hoping that between these and the pork rinds we’ve gotten that our snacking needs are all taken care of.